Sony Xperia XZ1 delivers unmatched audio and camera performance. It also offers latest Android 8.0 Oreo and is powered by flagship Snapdragon 835 CPU. Sony Xperia is one of the most consistent and longest running Android device lineup in the smartphone world. The handsets in the series have always offered impressive camera and audio features making them one of the most worthy multimedia gadgets to smartphone enthusiasts and geeks. But even with such good hardware prowess and some industry's first features, things have not been in the favor of Sony for sometime lately. This is due to the stiff competition and the fact that Sony's steep pricing often kept company's capable flagship devices out of reach from masses. This is something Sony wants to change with the new handset- Xperia XZ1. It is company's latest Android flagship smartphone packing the best of audio, camera and display technologies at rather sensible price tag. Sony Xperia XZ1 features the company's tried and tested 19MP Motion Eye Camera that packs in some nifty camera tricks under its sleeve. It is also the first handset in the Indian market with Google's latest mobile OS- Android 8.0 Oreo. And last but not the least, with Xperia XZ1 the smartphone market now offers a mobile device that sports an HDR enabled Full HD screen. Earlier, the HDR support was only seen with Quad HD panels but as we all know, they are not technically very practical in everyday life due to their extreme battery eating habits. This brings us to the most important question, Is Xperia XZ1 the Sony phone we all were waiting for? We try to find out with the help of following review. Sony as a company originates from a place where less is considered more and it is said that valuable things lose their charm when there is clutter around. The same design ideology of stark minimalism and simplicity can also be seen in the latest Sony's Xperia XZ1. The handset has no unwanted design elements and keeps the required buttons and connectivity ports at right spots. Sony's signature rectangular look and feel gets a slight update with the new loop surface design that rounds out the sides for a more comfortable in-hand feel. Carved out of a single block of metal, the handset is sturdy and yet feels surprisingly lightweight in hands. One problem with the design is broad bezels at top and bottom of the display that takes too much real estate. The Black Xperia XZ1 variant minimizes these bezels which otherwise look stretched out in non Black colour variants. But then it allows the handset to pack in two stereo speakers that outputs clear audio. Some may find the design boring against the new age bezel-less devices, however Xperia XZ1 is still quite a looker and is one of the most handy flagship smartphone I have used in the year 2017. The other handset that impressed us with the overall design is OnePlus 5 which also has the standard 16:9 aspect ratio screen; however it can easily slip off from hands if used without a case. Sony Xperia XZ1 on the other hand offers a slightly better and assuring in-hand feel. Sony's idea of placing the fingerprint scanner on the right side makes it very comfortable to unlock the handset. The thumb in case of right handed users and the index finger for left handed users follows a natural hand movement while you hold the mobile device with one hand. And then you also get Sony's signature dedicated camera button on the right side that makes it quite easy to click pictures. Besides, you need not to worry about the water and dust damage as the Xperia XZ1 is also water and dust resistant with an IP68 certification. This makes for a perfect mobile phone that can shoot excellent super slow motion videos during rainy season, during a dip in pool or while you indulge yourself in water sports. Overall, Sony has done a great job in refining the company's signature Xperia look and feel with the new XZ1. It does resemble the previous Sony devices but that works in its favor as the design is appealing, premium and quite practical at the same time. But we cannot ignore the fact that Sony has to come up with a new outlook for its upcoming Xperia devices now, as the world will not accept anymore refinements in the same design. It's time of bezel-less and taller screen mobile phones and Sony has to catch up to stay in competition. Display size is one thing that differentiates Xperia XZ1 from myriad of other flagship handsets launched in the year 2017. While most of the premium, mid-range as well as budget handsets offer 5.5-inch and above display sizes, Sony chose the modest 5.2-inch form factor. This might disappoint some users who are fond of big screen devices; however for some the screen size could do just fine, especially if you are looking for a compact flagship handset. 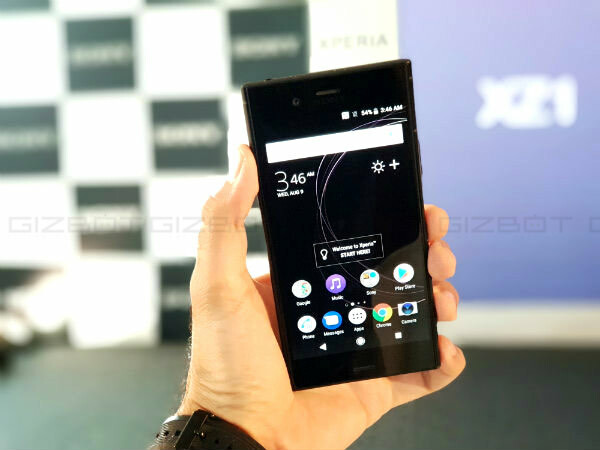 Sony Xperia XZ1 sports a standard 16:9 aspect ratio display with noticeable bezels on top and bottom; however the screen itself is brilliant to look at. The smartphone sports a 5.2-inch full-HD (1080x1920 pixels) HDR display which is very bright and offers comfortable viewing experience indoors and outdoors. The sunlight visibility is excellent. The IPS screen is powered by Sony's Triluminous display and X-Reality technology configured for mobiles, which easily compensates for a QHD screen that some users would expect at this price-point. The full HD resolution also results in longer battery life. Moreover, HDR 10 support results in bright, clearer and stunning visuals during gaming and video playback. The blacks are not as deep as Samsung's AMOLED panels, but then whatever you see on this screen looks more natural and closer to reality. The HDR support also makes Sony Xperia XZ1 the first handset in 1080p resolution category which allows you to stream HDR content from supported services such as Amazon Prime and Netflix. Moreover, YouTube also offers HDR content but the library is quite limited for now. Xperia XZ1's screen also gets Sony's Bravia TV technology that makes for vibrant and pleasing color reproduction. As far as durability is concerned, the display gets Corning Gorilla Glass 5 protection. The display settings offer three White balance modes; Standard, Professional and Super-Vivid that changes color gamut, contrast and saturation levels as per a user's requirement. I mostly kept the screen at Standard mode as it offers a balanced color reproduction level throughout the apps and multimedia content you consume. You can also opt for Super-vivid mode if you prefer saturated colours while playing games and watching movies. However, I would recommend to change it back to standard or professional mode while taking pictures as the mode can alter the color balance and make your clicks look extra saturated and a bit unreal. Overall, the screen on Xperia XZ1 is a winner in its price-segment and will please game and multimedia enthusiasts. Sony and sound are taken as synonyms and the trend continues with the new Xperia XZ1. The amount of audio technology Xperia XZ1 packs in is enough to make it a sheer delight for audiophiles who use handsets as their daily audio driver. The built-in audio technology is not just for namesake, it is pretty effective and workable in real life usage. There's Hi-Res Audio support (LPCM, FLAC, ALAC, and DSD), digital noise cancellation, S-Force surround sound, stereo recording, and Qualcomm's own aptX audio software. The broad bezels on top and bottom of the screen gives the handset an advantage of packing dual front-facing speakers that works on new S-Force surround technology. On papers, these speakers offer 50% more sound pressure when compared to the previous Xperia XZ devices. And the numbers do translate to impressive output in real life. The audio through these stereo speakers is crisp and is free of distortion even at maximum volume levels. They are not very loud but the clarity is significant. As far as audio through earphones/headphones is concerned, the powerful bass, clear vocals and immersive beats will keep you hooked to your music library. I tried the handset with multiple earphones and wireless headphones and the sound output is simply the best in this price-point. The deep lows and bass notes and the ample audio thrust will spoil you for life once you start using Sony handsets as your audio products. Try any other smartphone in the market with the same set of earphones/headphones and you will instantly notice the difference in sound clarity and overall dynamic range. The other worthy handsets that deliver really good audio output are HTC U11 and LG G6. Even the upcoming LG V30 also seems quite interesting in terms of sheer audio performance; however we will only be able to tell the real story once the handset is launched in the Indian market. There are some amazing camera smartphones in the market you can buy today. Most of the flagship (even mid-range and budget) handsets now flaunt dual-lens camera setups to improve on picture quality and deliver image output that traditional mono lens cameras fail to achieve. Sadly, Sony is still sticking with traditional imagine concepts and ships the Xperia XZ1 with a 19MP main camera. But make no mistake, the 19MP Motion Eye camera has impressed us previously with its incredible shooting abilities in Xperia XZ Premium and it only gets better with the new Xperia device. Yes it does not offer bokeh effect but can record Super Slow Motion videos with an amazing frame rate of 960 fps. To put things in perspective, the latest Google Pixel 2 XL shoots slow motion videos in 120fps. Resultant, the videos shot with Xperia XZ1 look much more appealing than any other slow motion mobile camera in the market. If you love experimenting with mobile cameras and slow motion videos, look no further than Xperia XZ1 or XZ Premium. Another worthy feature that comes quite handy in real life situations is camera's ability to predict action and capture moving objects with little or no blurry results. Sony calls it Autofocus burst as it tracks and captures sequences of moving objects in sharp focus. The results are impressive and during my review period, the camera on an average managed to capture 8 perfect shots out of 10. The performance suffers when light is not abundant as the camera lcks on one major aspect- the optical image stabilization. Sony has also added another industry's first imaging feature in Xperia XZ1's 19MP Motion Eye camera. The camera now supports 3D image scanning abilities and is able to create a 3D avatar of a person or an object in focus. All of his is done by Sony's 3D Creator application that post completing the 3D scan also allows you to share the results across different platforms and media. The camera can render the 3D scans of objects in 60 to 90 seconds using four scan modes; head scan, face scan, food scan and freeform scan. The scanned objects can then be shared on messenger apps using 3D stickers or uploaded to 3D communities such as Sketchfab. The 3D scans of objects and humans can even be printed on a 3D printer and converted into memorable keepsakes. You can scan an object and upload the file on www.3dPrintmyfile.com to get a 3D print delivered at your doorstep. Now this may look like a gimmick to general audience but for someone whose bread and butter is 3D object printing, Xperia XZ1 will come as a delight. The process to run a 3D scan is a bit cumbersome but the output is good and real life models created with the 3D Creator app are impressive. Talking about the picture quality, there's a good amount of warmth and detailing in the images. The pictures shot in daylight look impressive and have respectable dynamic range. One issue with the camera is loss of detailing when you zoom in the images to maximum. Somehow the camera algorithm over sharpen the images which results in loss of detailing and some artificial effect to overall output. A software update might fix the issue as the camera hardware is pretty capable to deliver results. Camera app is easy to use and you have all the required functions in your reach. One issue is auto mode's inability to memorize the color and brightness settings that are placed within the settings. You have to tweak them (as per your requirement) every time you fire up the camera app, which is very irritation as I really like to play around with these two important settings before taking a shot. The images you capture in low-light have plenty of detailing but noise is also quite evident. This again might be due to camera's habit of adding artificial sharpness which ruins some parts of the images. For instance, the camera has captured noticeable noise in the Blue shade of sky in the above image. However, camera has also done a good job in capturing detailing in other parts of the image. Coming onto other important aspects of the camera department, the rear camera supports 5-axis stabilisation and also supports 4K video recording. The camera app did not crash and phone surprisingly showed no signs of heat even while recording a 4K video on a stretch, more than 11 minutes to be precise. On the front, Sony Xperia XZ1 features a 13MP camera with an aperture of f/2.0 and 22mm wide-angle lens for group selfies. Powered by Sony's Exmor RS mobile imaging sensor, the front camera delivers good selfies and captures a wide frame. Overall, camera is one of the strongest features of Xperia XZ1but it can still use some improvement to further enhance the mobile photography experience. There's very less to complain when you have the latest and the fastest chipset in the market running the show. Sony Xperia XZ1 is backed by the Qualcomm's snappiest SoC- Snapdragon 835 64-bit CPU which works in sync with Adreno 540 graphical unit. The combination did not disappoint and hardly gave me any reasons to complain. Apps fire up instantly and navigating throughout the entire UI, apps, Play Store and web pages is smooth and lag free. Call quality is solid and the handset did not heat up even while recording 4K video for a good 11 minutes on a stretch. Most of the games load instantly and the graphics are rendered without any frame drops on the 1080P HDR enabled screen. Asphalt 8 and other heavy games in Google Play Store ran smoothly and there was just a millisecond lag while loading these games for the first time. But that's with every other flagship Android handset priced similarly and even higher. The handset offers 64GB of inbuilt storage which can be expanded up to 256GB via microSD card. 64GB is more than enough for most of the users to install games, and save apps, music and videos; however if you need some extra storage, you can use a microSD card at any point of time. In addition to flagship hardware, Sony Xperia XZ1 also makes sure you get the latest Android software experience. This is one department where even some of the priciest handsets, including the mighty Galaxy S8 Note face a tongue-tied situation. Sony Xperia XZ1 is the first handset in the Indian market to ship with the most recent Google's mobile OS - Android 8.0 Oreo. What this means is that you will get to experience the Google's most recent software developments such as latest security framework, auto fill logins, some neat visual elements and new settings menu. The picture in picture feature comes quite handy in several use cases. For instance, you can minimize an active session of Google maps where a small window of an ongoing navigation session will appear on the phone's screen while using any other application. This allows you to stay on your course while reading a text on WhatsApp or checking some information on internet. Sony's customized skin is amongst the very few and in my opinion is the closest custom UI to stock Android. It is lag free and does not come with too many unwanted bloatwares. There are some useful pre-loaded apps such as Movie creator that will please content creators. You also get Amazon app, Xperia Lounge and PlayStation app. The most noteworthy addition to Sony's UI is 3D Creator app which we have discussed in camera part. Overall, the software experience is excellent on Xperia XZ1. It's much more refined and is full of useful tweaks to enhance everyday user experience. If there's one thing that I would want Sony to change about it, it would be the overall look and feel of the Sony's custom skin. It's been a while Xperia phones are using the same in-house skin. I guess it's time we see some new design from Sony's sfoware team. Battery is one department where Xperia XZ1 could have achieved better. With the HDR display in the package, I was literally forced to stream media content on supported services that took a toll on battery life. Even gaming consumes a lot of juice and you have to keep a charge or a power bank handy if you are a power user. With moderate use, Xperia XZ1's 2,700 mAh battery can survive for a usual work day where you can use multiple email clients, browse web, take some amazing super slow motion videos and listen to your favorite tunes. I even used the handset as a Hotspot on 4G network quite often and the battery unit managed it very well. The 2,700 mAh battery unit also comes with Stamina and Ultra Stamina mode to cut energy consumption so that your handset last longer when you need it most. Besides, the smartphone also charges up quickly, thanks to Quick Charge 3.0 fast charging support. For storage you get 64GB, which is more than enough for multimedia, apps and games. But fret not if you run out of space as you can add a microSD card to gain additional 256GB storage. As far as connectivity is concerned, Xperia XZ1 has Wi-Fi Miracast, Bluetooth 5.0, DLNA, LTE 4G, NFC, USB 3.1, GPS and Google cast. Xperia XZ1 is an impressive Android device. It might not look and feel as futuristic as some of the newest bezel-less handsets, but is very practical and performance driven. You get to experience the latest software, mind blowing audio and display features and a camera which is not perfect but is still a milestone in mobile photography. The design might feel a bit outdated to some but is undoubtedly premium and perfect for one-hand usage. 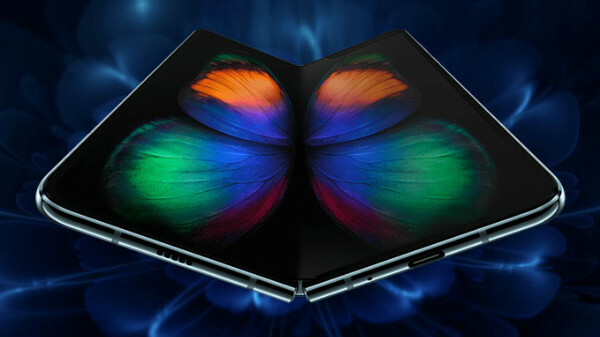 It is also durable (Water-dust resistant) and makes total sense for consumers who are not interested in bulky and big screen devices and don't want to compromise on sheer performance and features. At a best buy price of Rs. 44,990, Xperia XZ1 is not downright affordable but is also not as high-priced as some other Samsung, HTC and Apple flagships are. 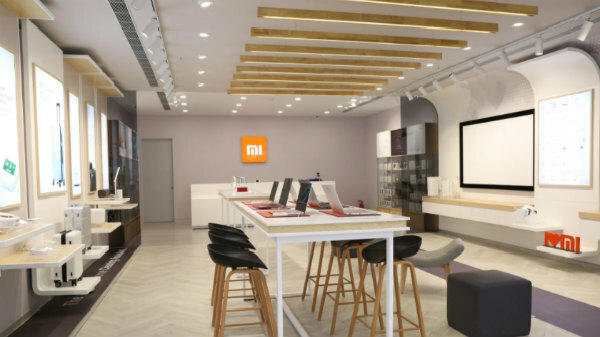 It simply fills the gap between the priciest ones and affordable flagships in the Indian market. It's worth checking out if you care about aesthetics, audio, camera and latest software experience. Not to forget the stunning visual experience that the HDR enabled 1080p display is bound to offer to multimedia lovers.